See Course Calendar for all our dates. This One-Day ACLS Renewal course is for healthcare professionals who either direct or participate in the management of cardiopulmonary arrest or other cardiovascular emergencies.For students seeking renewal credentialed American Heart Association ACLS training. This is the RENEWAL CLASS no book will be given. You will be given the option to purchase book during registration. 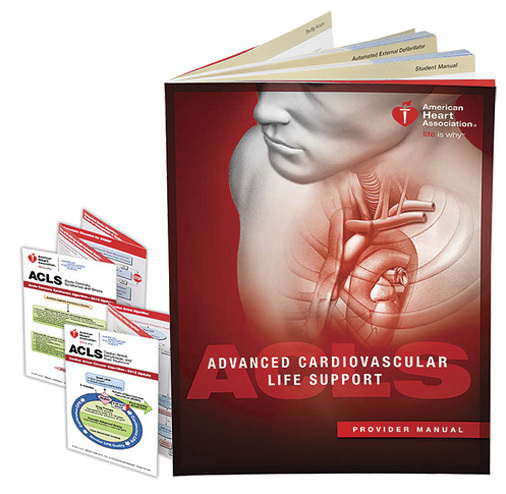 Students must pass a written exam and megacode skills test in order to qualify for an ACLS Provider Course Completion Card. Course length Approximately 6 hours.